Coupons.com just announced the launch of Brandcaster Retail, a free, self-service platform for Internet retailers to offer a digital coupon gallery on their website. 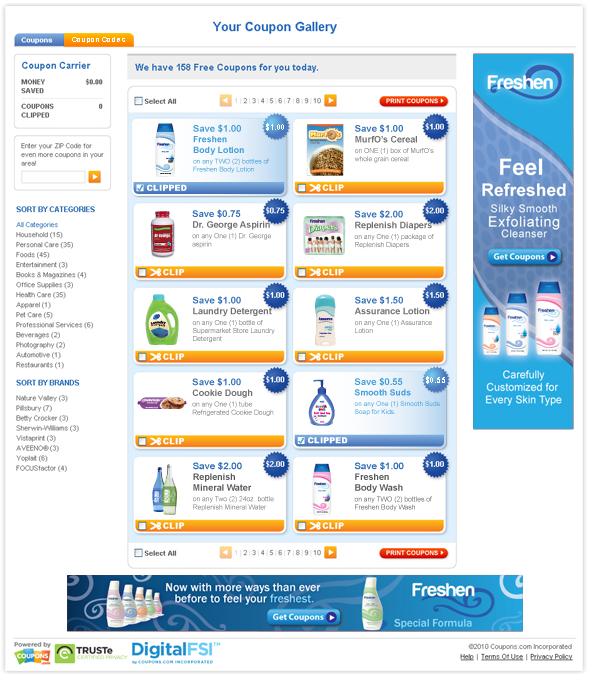 Retailers will, without any programming knowledge required, have the ability to showcase a full Coupons.com coupon gallery, or publish coupons exclusively for only those products they have in stock. Brandcaster Retail could help merchants reach an attractive demographic in digital coupon users. The audience demographic is proven to shop more (with 23 percent more trips) and buy more each trip, resulting in a 50 percent larger annual spend than the average shopper.